Set at, or slightly above the maximize height you’re able to hit a ball. 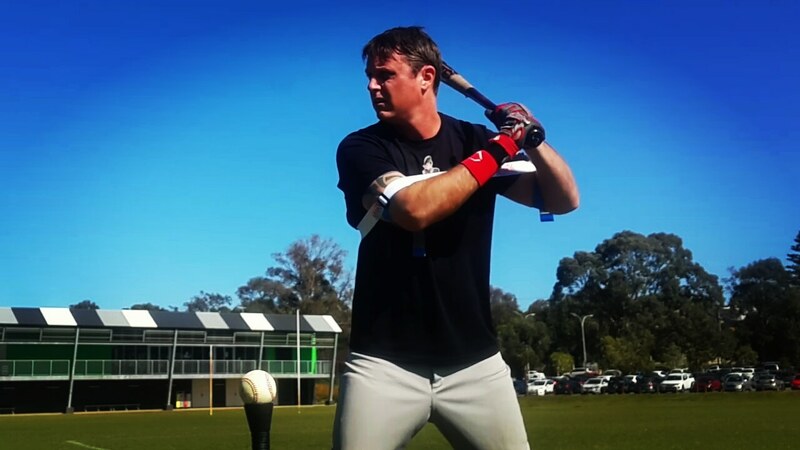 Find the maximum height during, front-toss drill, gradually raising the height of the pitch until you can’t hit the ball. 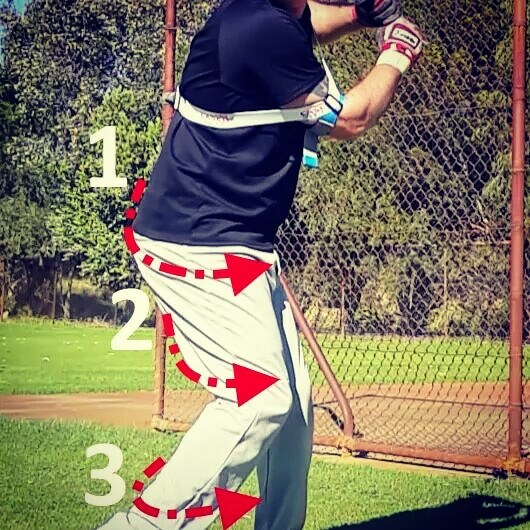 Advanced hitters, can adjust the height of the hands, depending on the pitch you expect to hit, see below for more information. 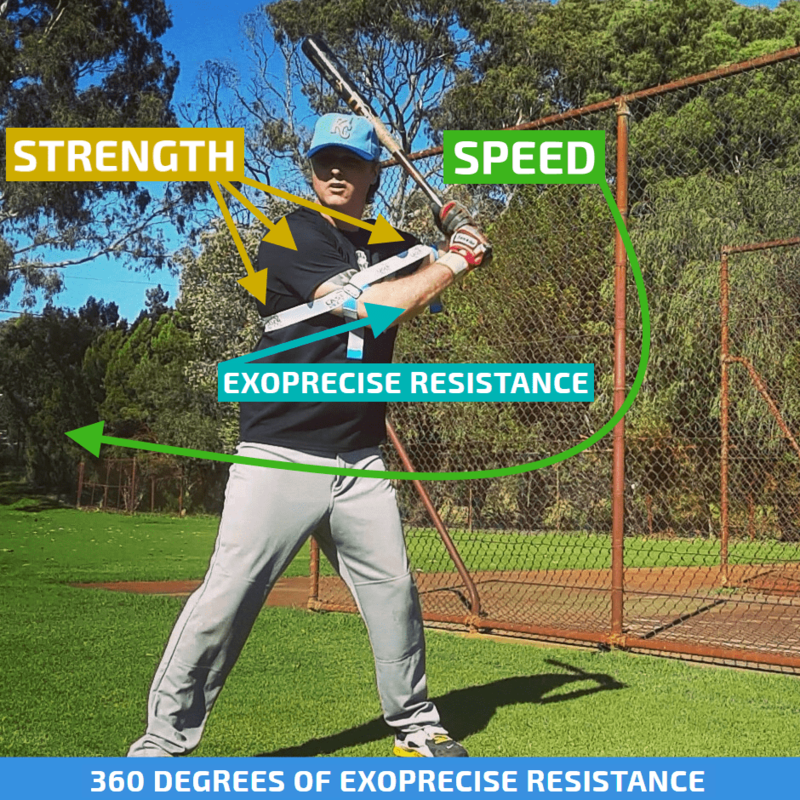 The height of your elbow correlates to movement in your batting stride, raising your back elbow works with an elongated swing; bigger stride, swing extension, hitting the ball out in front. 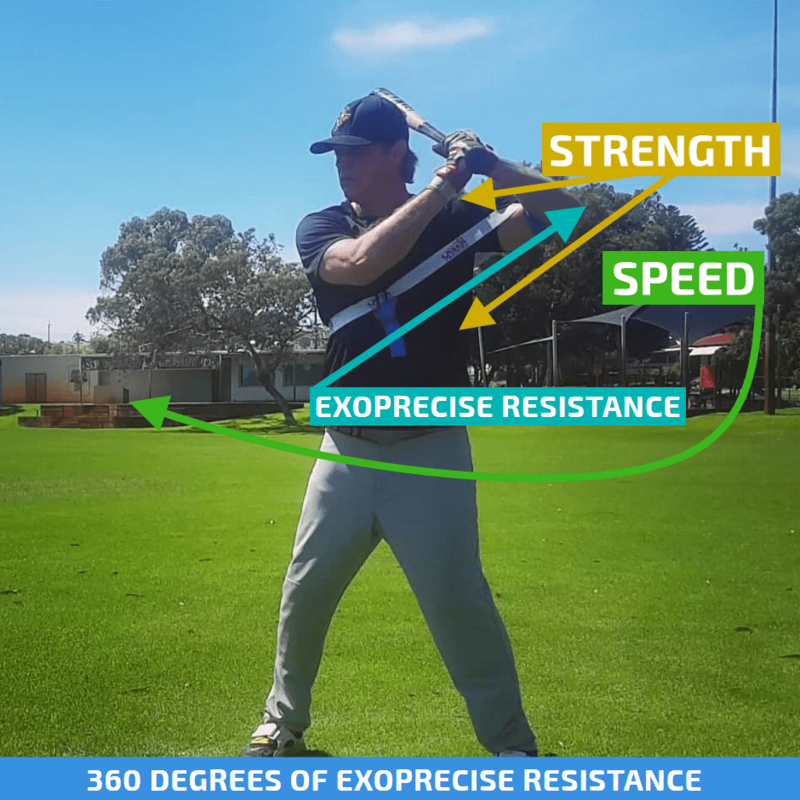 A shorter stride works with a lower back elbow, compact swing path, and contact closer to your body; refer to our multi-swing method for more information. 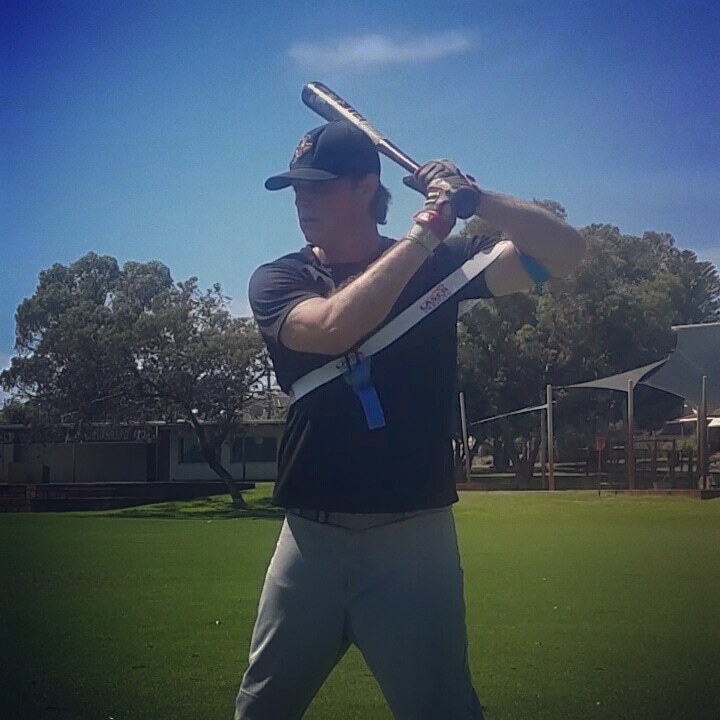 Raise your back elbow, anticipating a slow-moving pitch. Lower your elbow, anticipating a dominant fastball. Set in between high and lower, when you’re unsure of the pitch type, or in a 2-strike hitting situation; “see the ball hit the ball” mode. 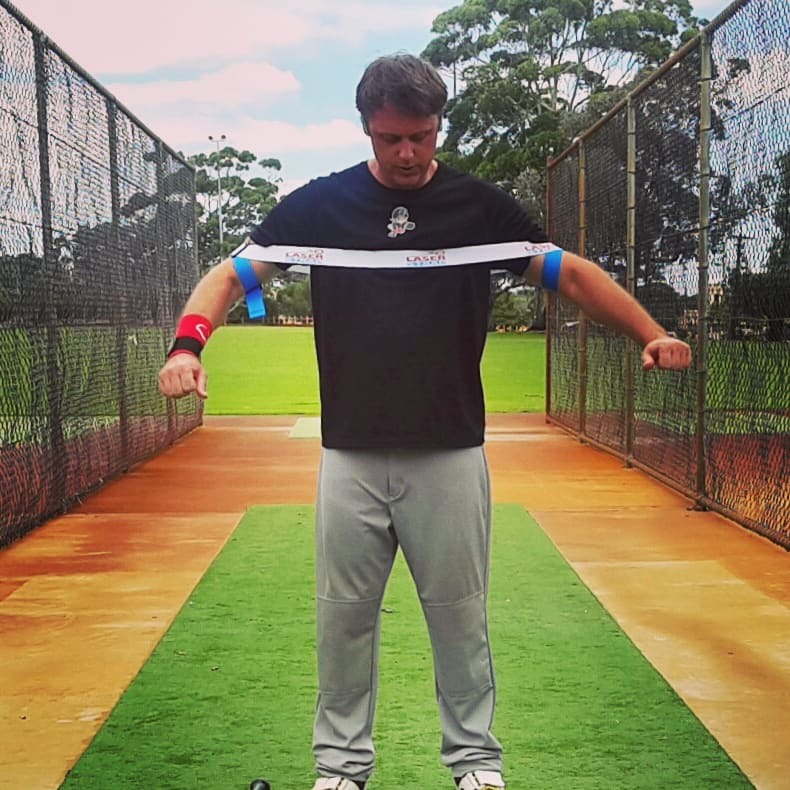 Relax your front arm, removing tension from your upper body; improving bat speed, power, and swing consistency. 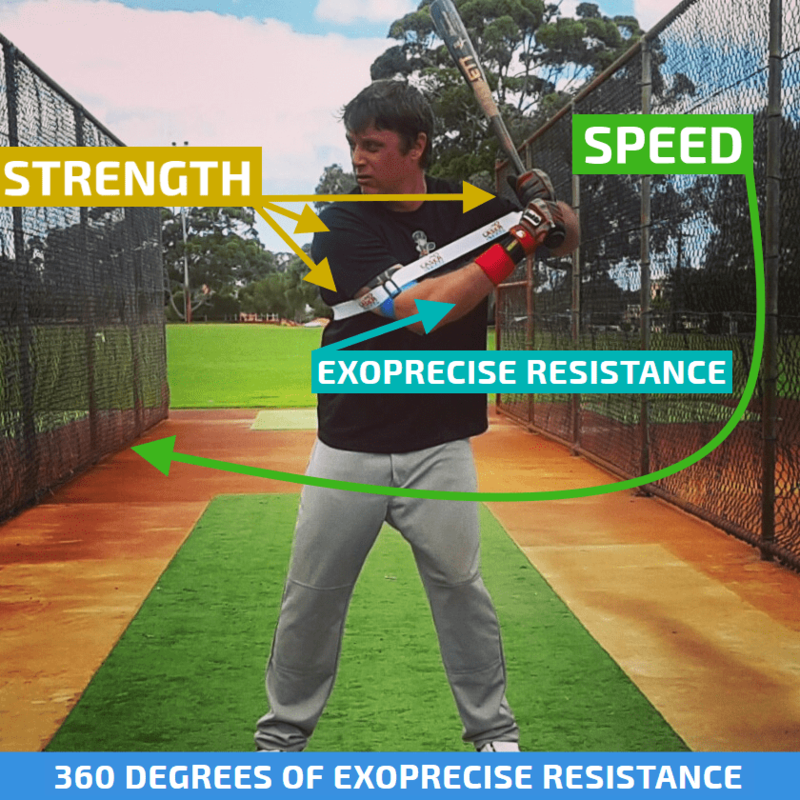 Locking your front arm in the batting stance triggers tension in your shoulders, laterals, and pectorals. Consequently, you’ll hit a slow-moving pitch, however, struggling against a power fastball. Keep hand movement to a minimum as you load, stride, and separate (body moves forward, and your hands stay back). Avoid conscious thoughts of loading with your hands, which leads to overloading, or wrapping. 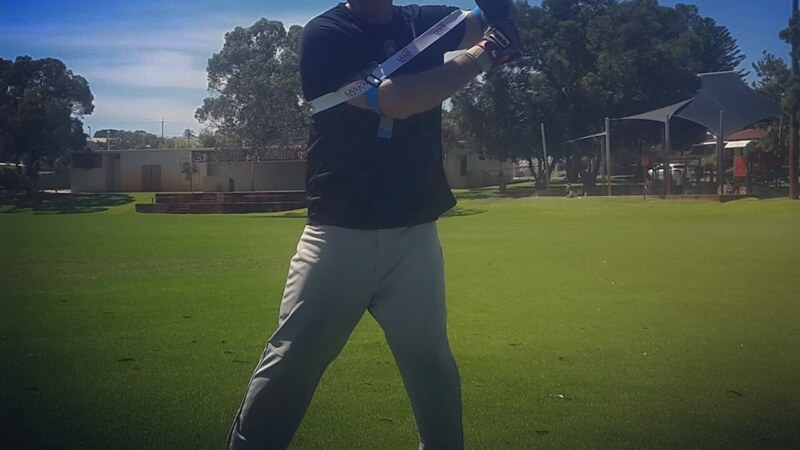 Focus on loading from your core, your hands naturally separate as you stride forward; AKA; swing separation. 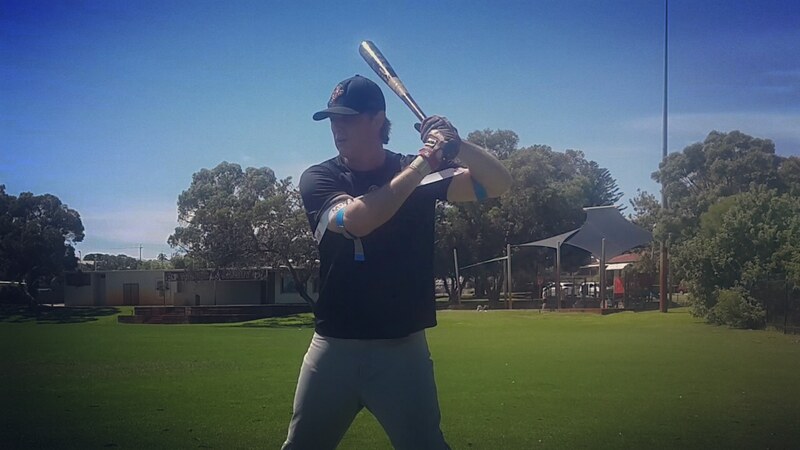 Your batting stride is critical to proper timing, specifically, the moment your front foot lands. Players lean over the plate, gaining the advantage when hitting the “hanging slider,” however, making it difficult to hit “hard-and-inside” fastballs. 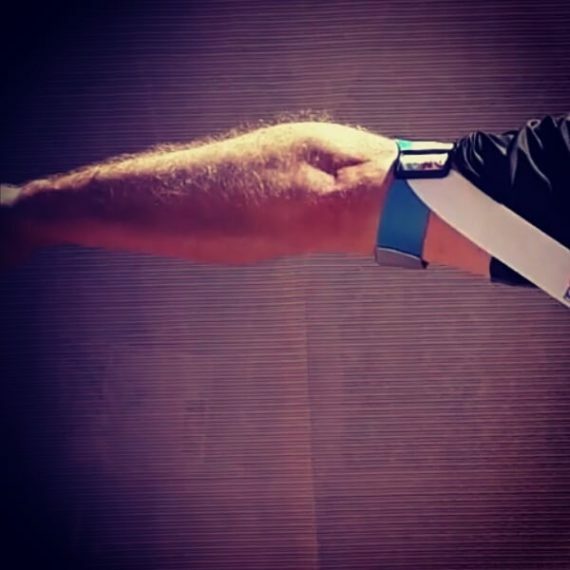 Additionally, leaning over the plate correlates to an increase in “hit-by-pitches,” and the frequency of serious injury to the wrist, and hand. 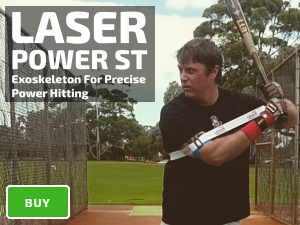 A slight forward tilt maintains a level bat level at contact for pitches lower in the zone, meanwhile, allowing you to reach inside and outside pitch locations.